Want to win a total hair transformation and 10 blowdries from Epic Hair Design? Click here! I’ll admit it: I’m really quite precious about my hair. I’ll shell out a fortune on the best hairstylists and products just to keep my locks looking pretty much the same as they always have—long and blonde. I’m not a risk-taker: my hair hasn’t been shorter than mid-way down my back for 20 years, I agonise about the most subtle of layers and I’m terrified of the merest hint of brassiness. That being said, when I was given the opportunity to review the newest Epic Hair Designs flagship salon at the Valley’s Emporium precinct, I ‘bravely’ agreed, even in the knowledge that my usual order of a simple trim and some foils would not a worthwhile story make. Meep. 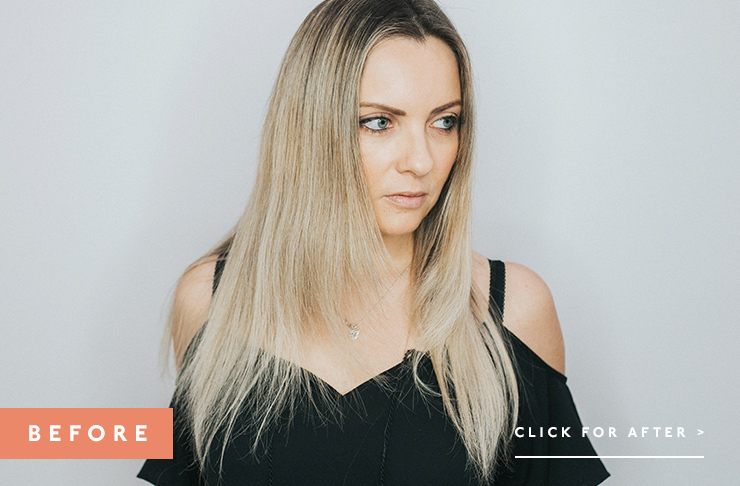 With multiple existing locations, Epic Hair Designs is already a household name as one of the best hairdressers in Brisbane, but having recently moved from Sydney it wasn’t as familiar to me. When I arrived, I was immediately reassured: this salon is L.U.X.E. Absolutely flooded with natural light, with an ultra-modern, crisp white fit out, it even has free valet parking to make you feel like the VIP you know you are. 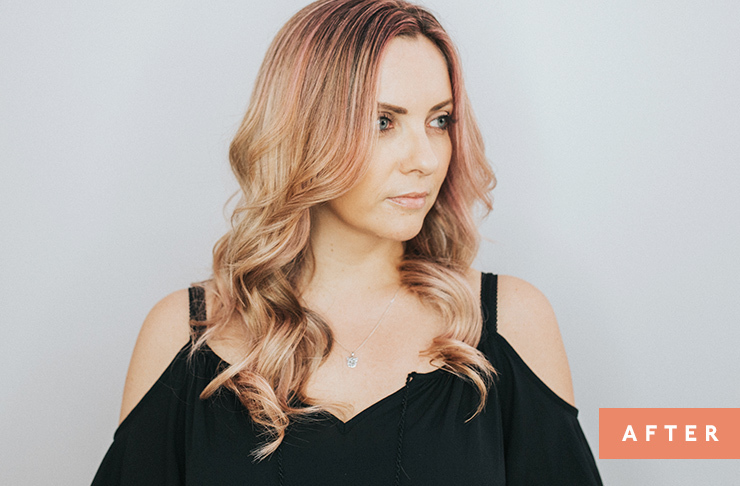 My stylist, Shayne, has had over 20 years in the biz and is a Goldwell educator (all Epic Hair stylists undergo stringent Goldwell training) so I’m happy to put (at least some of) my hair destiny in her hands. Using one of the iPads that sit at each hair station (yep, the place is rocking high-tech touches), she goes over a questionnaire with me that will help her determine what we’ll do: how often I wash my hair, my styling regime, what products I use and how often I’m prepared to visit the salon—AKA how high maintenance I am. I let her know I’m happy to go lighter, but also (deep breaths) that I’m keen to consider doing something a bit different…within reason (ie not cutting it short or going darker). Shayne suggests a semi-permanent pastel “fashion colour root stretch” and we agree on a slatey blue/silver to make my greyish blue eyes pop, and eventually (after around 2-3 weeks) fade into a cool ashy blonde. After sectioning my hair, fine microfoils are applied from my mid-lengths right up to the root of my hair to “take the depth out”, ie sort out my 4-month-old regrowth (this is my first visit to a salon since moving to Brisbane—I said I was fussy, okay?) which will provide a nice light base for the colour to sit on. Once they’re in, she hand paints my ends with an Olaplex-infused powder lightener—already being quite blonde at the ends, it’s more a matter of “cleaning them out” without damaging the ends unnecessarily. Once the lightener is rinsed off, the pastel colour is applied at the basin (after a last-minute change of heart, I randomly decide against the silvery blue in favour of a light pink instead. I actually wanted peach, but Shayne reminds me that given my phobia of brassiness and the fact that peach is actually just a light orange, I may not enjoy the colour as it fades, whereas a cool pink would suit my skin tone a lot more). Using the “root stretch”, or “colour melt” technique, the colour is applied more deeply at the roots, working it down towards the ends, similar to an ombre look. The salon’s head stylist and manager, Jacquie, then gives me a trim that includes a couple of choppy layers through the back, followed by one of the best blow-dries of my life. Et voila, it’s the finished look. And guess what? I BLOODY LOVE IT. I should leave the fate of my hair in the hands of experts more often. As we all know (or should, at least) what happens after the salon is just as important as what happens in it. Meaning, you have to look after your colour if you want to keep it on point, especially in the case of being a) artificially blonde and b) maintaining a fashion colour like pink. I’m recommended Kerastase’s Reflection shampoo and masque, which will preserve my colour and give my hair a moisturised shininess that blondes so often lack; as well as Kerastase Ciment Thermique heat protectant (something I’d been guilty of skipping) and Kerastase Resistance reconstructor for my damaged bits. I also come away with Goldwell Soft Colour mousse, a super simple way of refreshing my colour whenever it dulls down. Reactions to the new me were all positive, including that I looked everything from younger to more tanned (both of which I will totally take), and I give myself a (good) fright each time I catch myself in the mirror. Each wash reveals a new, subtler strawberry shade, and after three weeks I’m back to my refreshed blonde mane. Blondes do have fun, but thanks to the Epic Hair Designs team I’m actually pretty sure this won’t be the last time I think pink! Win a hair transformation and 10 blowdries at any Epic Hair Design! Just fill in your details below—Ts+Cs can be found here. Good luck! Editor’s note: This article is proudly sponsored by Epic Hair Designs and endorsed by The Urban List. Thank you for supporting the sponsors who make The Urban List possible. Click here for more information on our editorial policy.